Like a taut spring, master’s student Baraka Gitari hops around his supervisor’s plant agriculture lab to show off the components of his nanoscience project. Here’s an incubator for growing bacteria. Here’s an autoclave for sterilizing growth medium. And here in the cooler is a bottle of Canadian maple syrup. Wait: maple syrup? That ingredient is part of a larger research project using nanoscience, or the study of things measured in billionths of metres, to develop sustainable packaging. 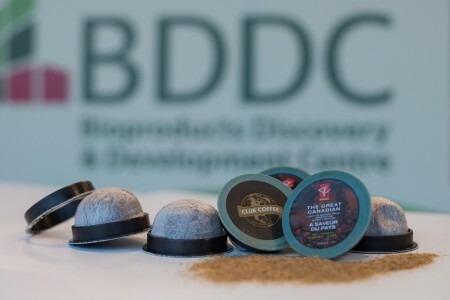 Nanoscience meets sustainability in U of G’s Bioproducts Discovery and Development Centre (BDDC), where researchers led by BDDC director Prof. Amar Mohanty have developed a fully compostable, made-in-Ontario coffee pod that hit Loblaw grocery shelves this year. Now his team is looking at using nanoscience to further improve those pods and, potentially, to make other “green” food packaging products. They’re among researchers from around campus looking at applying the science of the “very small” to bigger sustainability challenges. Most compostable plastics can’t keep air and water vapour out of sealed packages, ultimately causing food to spoil. “We are trying to develop a barrier for coffee packaging,” says Mohanty. He says the lab aims to make more sustainable packaging by combining nanomaterials such as commercial nanoclay — or mineral nanoparticles— and nanocellulose with bioplastics. Impregnating packaging with nanocellulose makes it more difficult for oxygen and other gases to penetrate. Instead of trying to extract the substance from plant cell walls, grad student Gitari is enlisting bacteria to make pure, consistent nanocellulose fibres. To encourage more – and more efficient – production, he’s feeding the microbes various sugars, including maple syrup. He says sucrose in maple syrup encourages production of stringy fibres less than 100 nanometres wide — the sweet spot for nanoscientists. Mohanty says bacterial nanocellulose might not be the most economical or sustainable model for wider use. But it helps his lab study barrier and surface properties, not just for packaging but also for potential biomedical uses such as skin grafting and in drug and food emulsions. Those ideas and applications resonate in other places around campus where nanoscience meets sustainability. Physics professor John Dutcher discovered water-retaining nanoparticles in sweet corn, which are now used in moisturizing creams and lotions that hit store shelves this year. He says the challenge in pursuing sustainable technologies lies in finding economical ways to use renewable resources. 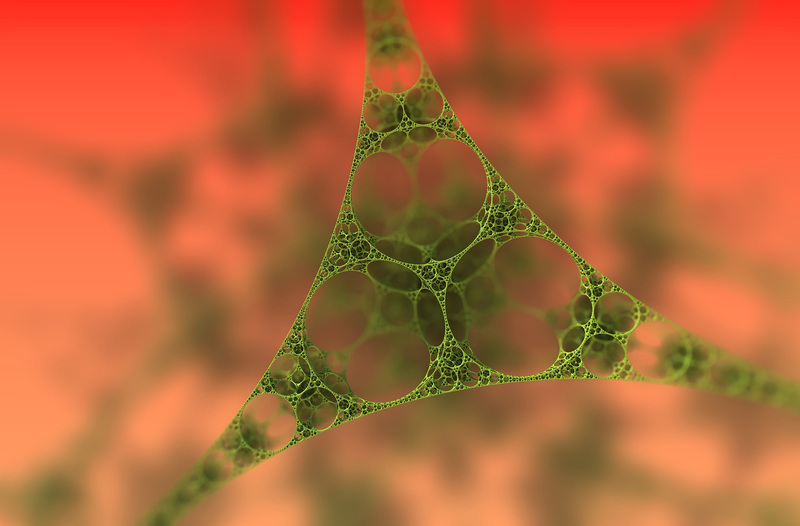 Chemistry professor Jacek Lipkowski says improved energy use and storage is another potential nanoscience application. He says greater surface area provided by nanoscale materials can make fuel cells and batteries more efficient. At the other end of a vehicle, nanoparticles in a catalytic converter may further scrub carbon from vehicle exhaust. Lipkowski has also discussed the use of nanoparticles with a mining company looking for a greener alternative to cyanide for removing gold from ore.
Food science professor Alejandro Marangoni is interested in using nanoscience to make healthier fats and oils in foods. Even here, there’s a connection to sustainability and to a long-cultivated crop – although not maple syrup. Castrol brand motor oil came from adding castor oil to engine lubricants in the early 1900s.